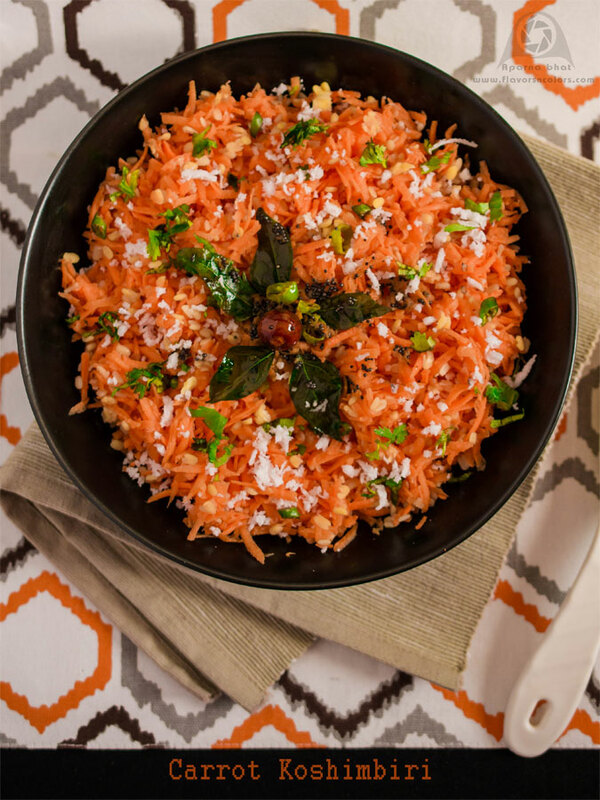 Koshimbir is the word in Konkani [as well as Marathi] which means salad prepared from veggies. Here I have used carrots to make the salad. You may replace carrots with either of these veggies - beetroot, cucumber, radish. An easy dish tempered with few ingredients, it can be prepared in very less time [except for the veggie grating part]. 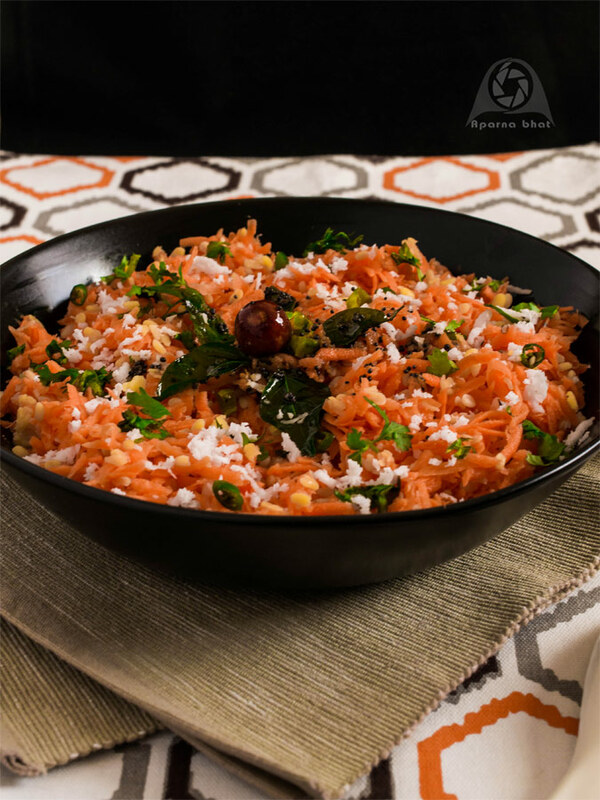 Serves as an accompaniment to main meals or you can just snack on a bowl of this vibrant salad in between your meals. Wash dal properly and soak it for 1 hour. Drain the water and keep it aside in a big bowl. Wash, peel and grate carrots. Add it to soaked dal in the same bowl. Next add finely chopped green chilies, grated coconut, coriander leaves and lemon juice. Heat coconut oil in small pan. Add mustard seeds and let it splutter, next add red chili, curry leaves, asafoetida and pour this over the salad mixture in the bowl. Add salt just before the serving and mix well. This looks absolutely fantastic! I had to Google moong dal, but now I know it's yellow lentils! Thanks for this beautiful recipe.